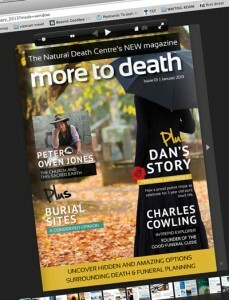 Our story, our website, our Josh have been featured in a new on line magazine ‘More to Death’. The first issue is published this month and is free to download. In fact its an extremely easy and accessible read – just click on this link and your there. 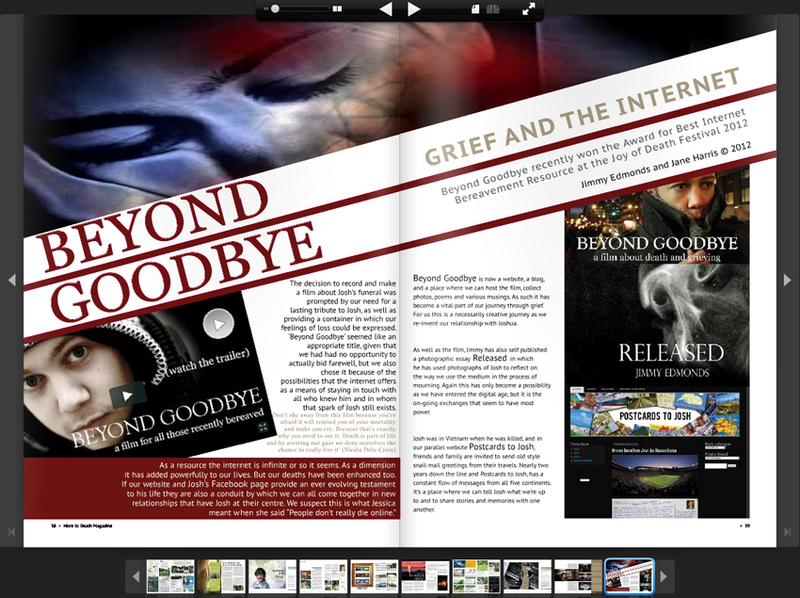 Lots of interesting stuff but our article “Grief and the Internet” is on pages 34 to 39. “People don’t really die on line”. It’s three months after the funeral and Jessica, a long standing friend of our son Joshua, has come to see us. Although close playmates through out their childhood, they had grown apart since we moved away from London, their friendship still strong but mainly exchanged via Facebook. They probably hadn’t seen each other in the flesh for over a year when Josh was killed in a road accident whilst travelling in SE Asia. He was 22. Now we are standing by Josh’s tree, a young copper beech, planted in his memory and for which Jessica had performed a song she had specially composed for the occasion and which talks of her sadness of not making more of an effort to stay in touch. We share her regrets but in her remark we also realise that in some ways, life after death on the internet is not that much different from life before. Josh’s Facebook page for instance is still very active; although he can no longer contribute, his on-line identity is still such that messages to him and postings on his ‘wall’ are an almost everyday occurrence. …..